Carves Your e-Business Dream on the NET. 1. Unique marketing strategies: You need to be innovative with your marketing strategies. You need to implement those strategies that eCommerce giants such as Amazon don’t. One such tactic is to include a blog on the store that offers useful information to your target audience. You just need to identify your target customer and understand their needs. For example, if you are having a store that offer sports accessories, blog about basketball and football. Talk about different types of gear that’s required. When consumers are flooded with discount coupons, offer something unique to them that helps them make better shopping choices. 2. Be original: Black Friday and Cyber Monday is the right time to showcase your originality. Instead of offering insane discounts and combo offers, launch a new product that only you are offering. This is especially advantageous if those products aren't offered by Amazon. In short, position your store as a specialty store to gain recognition and credibility. 3. Shipping threshold: Don’t try to compete with Amazon’s shipping discounts. They are infeasible for small eCommerce merchants. If you want to offer some kind of “deal” with shipping, then set an order threshold. For example, you can design promotional campaigns offering free shipping over orders worth $30. 4. Personally connect with customers: Do what big eCommerce stores can’t do: personal connection with the customers. Reach out your customer base and know them at a more personal level. Offer them personalized shopping experience and customer support during holidays because your customers just don’t pay for the product. They pay for the entire shopping experience. 5. Don’t annoy your current customers: Just don’t overdo email marketing. It’s really annoying to receive 10 emails in a week from your favorite online store. If you are having a niche store, better connect with your customers personally and discuss how you can improve their shopping experience in the upcoming holiday. Do you want to know what else you can do to push your sales up this holiday season? Contact Ydeveloper. Our expert digital marketers will devise a special campaign for your business. Yahoo's venerable Software-as-a-Service (SaaS) eCommerce platform has acquired a new avatar. The new SaaS goal has been reinvented to help small business eCommerce retailers, like you, gain top dollars. The reinvented platform will make you a pro at running your yahoo ecommerce online store business from anywhere, anytime. In other words, you can take your competitors head-on with Yahoo's newly innovated Software-as-a-Service eCommerce platform. If you don't have a merchant account right now, don't worry. Yahoo, backed by its SaaS platform offers temporary payment gateway to new Internet retailers, so that they can start selling, without even having an approved merchant account. Yahoo will have them covered until the sale is made. (But, once the sale is made opening a merchant account becomes mandatory.) 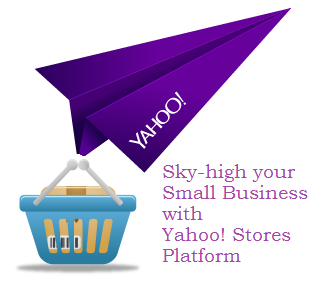 This automatic payment processing feature will help Yahoo stores handle competition. Further, it also offers customized themes for new sellers to use. So, if you are in a hurry to set up your online store, go the Yahoo! way. It's intuitive, easy and fast. If these weren't enough, it has also come up with a handsome administration site, which is a huge leap for Yahoo and its customers. Yahoo Store is mobile first. So if your site has just been created, it will be optimized for smart phone or tablet the instant its launched. With 37 percent of eCommerce traffic coming from mobile devices (according to Custora, a predictive analytics platform), it makes sense for Yahoo to go by the mobile first rule of thumb and in turn benefiting businesses attract mobile traffic. To help new eCommerce businesses get “first hundred sales” fast, Yahoo Store has come with an app gallery that ensures easy integration with services like Yahoo Gemini - the company’s mobile, search, and native advertising platform - Google Shopping, Facebook Ads, and Justuno, to name a few of the available apps. Users have to pay for them, and then can integrate them without having to leave the Yahoo Stores administration site and without any design or development knowledge. Plus, the in-built chat feature allows store owners and managers to initiate chat with customers browsing the site or respond to chatting customers with questions. Of course, chat is an excellent tool for making an eCommerce sale. The new Yahoo! Stores also has a built-in-chat feature that allows store owners and managers initiate chat with customers browsing the site or respond to chatting customers with questions. Chat is a powerful tool for making an ecommerce sale. Yahoo has recently worked toward improving page load times and peak traffic performance, which will benefit Yahoo Stores in a major way. While some Yahoo customers will see the new Yahoo Stores platform now, it won't be available for all Yahoo Stores for at least a few weeks. For the past 16 years Yahoo has been serving many eCommerce innovators. Though there was a downtime in the middle, as the number of competitive eCommerce solutions increased, it's once again upping its game to make Yahoo Stores platform much more competitive. To cut the long story short, Yahoo Stores eCommerce platform is doing all that it can and more to help small businesses and existing customers meet their sales goals. Though the store may face certain shortcomings, it makes Yahoo! Stores competitive with the best SaaS eCommerce solutions. Mobiles are one of the most remarkable mediums to attract traffic. And with 20 percent of sales being channeled from mobiles, the message is all the more loud and clear to eCommerce owners: adapt mCommerce or die. Small wonder, most of the eCommerce businesses are going the mobile way. However, the big question right now is, what about mobile apps? Is it the right fit for your business or having a responsive web design is good enough? 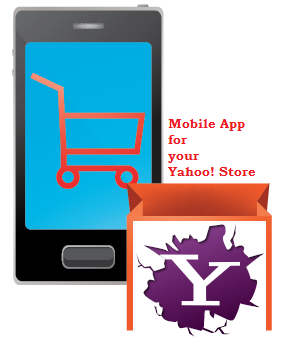 Here are six factors, which would tell you, why a mobile app is a must-have for your Yahoo! Store. First know the kind of products you are selling. Whether the products fall under the repeat purchase or one-time purchase category? If they fall in the repeat purchase category, such as baby diapers, pet supplier or groceries, then having a mobile app will do well for your business. Customers, in all probability, would download such apps to regularly buy goods from your store. However, if you are into selling goods that are just a one-off purchase then having a responsive website is good enough. The goods that fall into this category include cars, laptops, couches, wedding dresses and more. An app may not be the right fit for such goods. If you are running lots of promotional offers and loyalty discounts, then you need go ahead and build a mobile apps for your Yahoo! store business. No more, no less. Unlike the relationship between a mobile site and a customer, the relationship between the customer and mobile apps is more lasting. And if your business is into running seasonal offers, issuing of discount codes and informing customers of the new or restocked items can be best done through mobile apps. When it comes to customer conversions on mobile, speed is important. In fact a delay by a second can lead to 7% loss in conversions. So compared to a mobile site, a mobile apps works faster. Mainly because most of the content is available online and they are independent of the browser capabilities of the mobile device. Plus, mobile apps also stores credit card information and shipping details, so it’s able to offer 1-click checkout to their customers. So, if you are checking out clothes on a site, before picking one, or reloading last week’s grocery shopping list, speed is crucial. It’s for you to decide whether your business needs an apps for that added speed or the speed of a mobile-optimized site is fast enough. If your store needs to use the native capabilities of a mobile device to scan barcodes, provide customers with location, or using the accelerometer, then mobile apps is the best bet. If your mobile apps uses an easy referral system, it would be easier for you to reach more and more customers. You can reach Joe’s friend Jack’s Facebook newsfeed and then influence him to install the app on his phone. Such a seamless journey is not possible on a mobile-optimized site. Do you update your catalog frequently? If so, install your mobile app and be able to view new inventory details immediately. Factor in all these points to decide whether your business will perform better by a mobile app or a mobile site. So, all the best on all your mobile endeavors. Target the Millennials is the new buzzword in the eCommerce world? Millennials? Doesn't that ring a bell for you? Okay. Millennials is used in reference to the digitally-driven American teenagers and twenty-somethings who have become prime new targets of eCommerce marketers. And if you happen to run an eCommerce store that's targeted toward the millennial generation, then it's time to make your site mobile-optimized. With the millennials going mobile crazy, Google doesn't wish to disappoint them. The search engine giant recently announced that mobile site optimization has to be factored in if websites really want to make it big on mobile rankings. Observe it's best practices on smartphone-optimized websites. If responsive design doesn't work for you, Google supports dynamically-served HTML. For websites that are not mobile-ready, it's recommended to focus on introducing small changes to the revenue-driving pages and custom landing pages. And also use Google Analytics “Speed Suggestions” report to figure out those pages that are not doing well, and use PageSpeed Insights tool to address the critical issues. Google's killer Hummingbird algorithm helps mobile users search faster and better. Their conversational queries are addressed on the go. With countdown for holiday season starting, it becomes all the more important to produce content with upcoming seasonal offers for mobile-optimized landing pages. Create categories and optimize content for each category. Craft creative landing page content, using holiday keyword trends and by introducing offers that could be social or local. Avoid flash on your landing pages for it's not supported by mobile. Succinct content, as mobile users wish to access what they need quickly. Make the most of social media: tweet about products, generate blog posts, link and optimize landing pages. Craft original content for social media. Link and also optimize your landing pages around short-term/holiday conversion campaigns. Though the average conversion rate of a desktop is slightly better (1.0% for desktop and 0.3 for smartphones) than smartphones, the purchase cycle is fairly quick for mobile searchers. According to Google research, 81 percent of conversions happen within 5 hours. And more importantly, the entertainment and media industry have better conversion rate on mobiles than desktops. Find out what the customer does with his mobile? Do they email stuff to themselves to review later? Do they use it to compare items? Do they use it for making fast purchases? Tailor mobile capabilities to address their needs immediate and/or long. These needs may evolve as the holiday season grows closer. Make use of video content. It's a well-acknowledged fact that entertainment and media industries using video content have more conversions on mobile than desktop. Track mobile’s role in analytics, given that every mobile search leads to meaningful outcomes, such as sharing information on the page, calling businesses or checking out the physical store. Make conversions simple — the fewer clicks, the better on mobile. Ensure the call-to-actions is installed above the fold for mobile users for consumers may not scroll to the bottom of the page to find your “Buy” button. With the passage of time, eCommerce is getting more advanced and sophisticated. Just take this year's Super Bowl as an example. NFL conducted massive location-based marketing campaign in which the league's wireless transmitters interacted with fans' smartphones. The result: fans could find all the information, including hot dog stalls and T-shirt shops, with a push of a button. If you want to remain a front runner in this made race of eCommerce, you have to offer something outstanding in terms of shopping experience. You have to know what will work in the short term as well as in the long term. 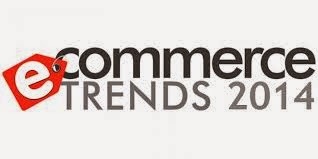 Let's have a look at the top five eCommerce trends that will drive 2014. Gone are the days when having an eCommerce presence was an option. On Black Friday 2013, 40% of the online sales were from mobile devices. And these numbers are expected to double in 2014. In light of this information, it would be no wonder if location-based marketing takes off like a rocket. To stay on the top of the competition, you will have to look for ways to optimize the store/website for mobile devices. And when we talk about optimization, we are talking about each and every element, starting from layout to design to content to checkout process. One of the ways to triumph over the competition is by offering highly personalized shopping experience to the users. With the use of 3D printing, you can create attractive and unique designs that appeal to the target audience. You can also utilize past sales data and shopping history of the customers to create customized deals and offers for them. It's even possible to create various versions of home pages that will be rendered depending on the location of the user. For example, you can create one look for New York users and another for California users. Years of study has revealed that although customers have spent hours at end to browse through various options and compare products, once they have found what they need, they order it and move on to something else. Businesses have already started focusing less on browsing and more on helping customers find what they were looking for. Hence, extra clutter is being replaced by meaningful content that can help users make better buying decision. As computers and smartphones become more advanced and efficient, internet gets faster. And as internet gets faster, the user's tolerance for high loading speed becomes less. So if any website is taking ages to load, users will simply abandon them. Businesses have started realizing this and so they are adopting responsive web designs and adaptive web designs to make their websites faster and sleeker. To manage the costs, businesses have even started creating layers of data to keep the most important data on faster hardware such as flash storage, and less relevant data on cheaper hardware such as hard disks. Unless you keep your customers happy, it's impossible to survive in the eCommerce rat race. And to keep customers happy, you have to offer outstanding customer experience through engaging and interesting content, additional services and easy-to-use features. Many times it's not enough to have outstanding web designs, simple and logical layout, proper categorization and attractive product images to convert a random visitor into a paying customer. The reasons for customers' hesitation can be many – from price to confusion about product functionality to product usability. Usually, it's easy to persuade customers to make a positive buying decisions when they are in face-to-face conversation with the salesman. But this is not possible in an eCommerce business. Are you facing the same situation? You can solve this problem by implementing Dale Carnegie's five principles. Read on to find out how you can implement them. Unlike in a brick-and-mortar store, you directly can't talk to the visitors as soon as they enter your website. You have to be patient. You have to see their behavior – how they are looking for the items, which products they are checking out, which products they are adding to the shopping, and if they are completing the purchase. If they are abandoning the cart, you have to investigate why they are doing so. Once you know the pain points of the customers, you need to rethink the process. For abandoned carts, you can send reminders to the users or you can get in touch with them to ask the reason behind such an action. It will definitely give you insights into the customers' psychology. The next step is offer functionality and facilities to the users with the objective of improving conversion ratio. 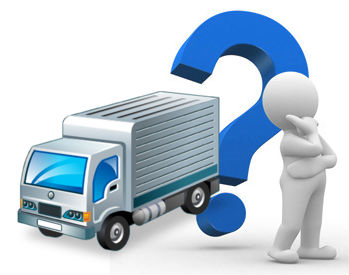 If the customers are abandoning the shopping cart due to lack of clarity of shipping charges, you can provide an automatic shipping calculator; if customers aren't finding help easily on the store, you can offer live chat to them; and if customers are finding inadequate product information on the product listing page, improve them. To inspire customers' trust, you can also display various security seals and information about the safety procedures you follow. Both you and your customers know what you want from each other. So it's time to convince visitors – by hook or crook – that they will be making the right decision by buying the products from you. To convince the visitors, you can offer them special discounts, free shipping for certain orders, and reassurances about the quality of the product. If you have a huge queue of happy customers, you can also display their testimonials prominently. In short, this is the stage where you have to convince the visitors to buy from you. Period. If whatever you are doing isn't working, i.e., buyers are still undecided whether to buy from you, you need to ask them point blank about the actual problem. You can use social networking platforms to ask your target audience about what's stopping them. But make sure that the way you ask is funny yet relevant and up to the point. Are you having problems implementing these principles to your store? Contact us. Ydeveloper, a leading provider of eCommerce services, has a strong team of marketers who have helped hundreds of companies optimize their marketing strategy. We can help you too no matter which industry you belong to. Having an “About Us” page is quite important when you want to connect and build strong relationships with your target audience. It offers you a chance to make an ever-lasting impression on your target audience, and when this is done correctly, it helps you improve sales as well as the loyal base of customers. If you are curious to know how you can create interesting “About Us” page for outstanding sales, read on. Your customers would love to know from whom they are buying. So tell them what you do and what drives you. Talk about what problems you faced and how you solved them.Encourage them to share their stories with you. This will make you more than just a business for your customers. Deciding what to say and how to say are two different things. You can make your words worthless or invaluable by using the right tone of voice. As you want to convert the visitors into paying customers, make sure that the About Us page is clear, consistent and distinct. The voice you use in this section should match with the rest of the content, including emails, press releases, white papers and anything else. Customers would love to know you and your team. So put up photos of the members who run the business. Mention their background, qualification and experience. If they have any interesting hobby, put that up too. Customers will definitely find it interesting. The best form of marketing is customers' reviews. As they are honest, they carry more weight. So put up selected reviews on the About Us page. Although from SEO perspective you should have a separate page for customer reviews, putting up few on the About Us page shouldn't hurt. Illustrations, photos and videos are way more engaging than simple text. Use them to prominently display a customer testimonial. However, please remember to integrate these elements smoothly or the page will end up looking nonsensical and haphazard. There's no set rule about how your About Us page should look like. Depending on the nature of your business, business model and target audience, you should design the About Us page. Although there are templates available for the same, never use them. Always customize them to set yourself apart from the crowd. When you add social media icon buttons for Facebook, Twitter and LinkedIn on the About Us page, you are enabling your users to promote your business on the social networking platform of their choice. And when a customer does this, it has all the potential to go viral. Always display the About Us page prominently. Your users shouldn't need to go through the entire website just to know from whom they are buying. You can keep the link for the page at the top of the page – right or left, in a left-hand navigation column or even at the bottom of the home page. The worst thing you can do to your business is to offer outdated information to the customers. So as your business evolves, make sure your About Us page reflects the same. With the rise of eCommerce industry, Google understood that users needed lot more than what it was offering. Google Analytics Integration for eCommerce traditionally focused on purchase details, including transaction details and product details, which wasn’t enough by the long shot. Consequently, Google recently introduced a host of new features that will help online merchants measure the eCommerce experience they are offering to their shoppers. Through these new features, merchants will gain insights into shopper behavior and conversions; they will be better equipped to understand how far visitors move through the sales funnel before they abandon the shopping carts and for what reason. Let’s have a look at the features in detail. Shopping analysis reports: This will help you in creating ideas about how to engage with your content, including viewing products, adding and removing shopping carts, card abandonments and completing transactions. Overview and product performance reports: This section will provide you details about review and conversion rates of your various products. It will include data about how many products the average transaction includes, the average order value, refunds and information about users who added products to their shopping carts after viewing the product detail pages. Affiliate code report: Through this report you can track revenue, transactions and average order value associated with affiliated sites. Order coupon report: This new feature will help you track revenue, transactions and average order value for order-level coupons. Product coupon report: If you want to see how effective product-level coupons are, this report will be helpful. It will offer you data in terms of revenue, unique purchases and product revenue per purchase. 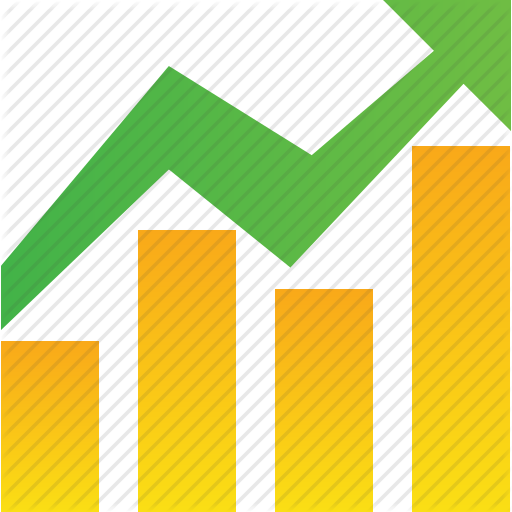 Internal promotion report: This report is quite helpful if you want to measure the effectiveness of your internal promotions. You can track views, clicks and click-through rate for all your internal promotions. How to get the new features? Usually eCommerce merchants are over the moon when they receive tons of orders. This is the case most of the times during holidays. However, just imagine you received thousands of orders for a particular product during holidays and you don't have enough inventory to fulfill all the orders. What will you do? Run helter and skelter to ship the products. Most probably you will contact all your suppliers for the extra inventory. Now just imagine them too running out of the stock? And if you do manage to get the inventory, you will probably ship the orders very late. Then what will be your customers’ reaction? They will be definitely unhappy, and will probably won’t buy from you again. The best way to avoid this happening to you is through the use of inventory software. With the help of an effective inventory software, you can keep track of the inventory level as well as gain real-time information about what’s in stock in which warehouse or storeroom. If you are into manufacturing, you can keep track of your work-in-progress and take an educated guess about the time span of a manufacturing cycle. You can even coordinate with your suppliers to make sure that you never run out of inventory. If you are a manufacturer with a processing assembly, inventory management system will help you budget working hours for your employees during slack as well as peak period. You can also set production goals as well as measure the productivity of your employees. Are you looking for such inventory management system? If so, do consider your requirements very carefully before making any purchase. Once you know what your requirements are, compare it with the features offered by the software that you were considering to buy. If your requirements are fulfilled, then only go for that software. Need more help to make a decision? Contact us Ydeveloper. eCommerce industry is expanding by leaps and bounds. There’s no two ways about it. More shoppers are turning to online sources for information before making a decision of buy offline. According to a recent MIT study, 80% of store shoppers checked prices online and one-third accessed the price information through their mobile devices while they were browsing in the physical stores. Many shoppers visit brick-and-mortar store when they want to see their online choices in the flesh before buying it. You can use the following tips to leverage this evolving trend and boost the sales. Merge online and offline shopping: Looking at the evolving trend of using online data while shopping in physical stores, the merging of online and offline shopping experience becomes a necessity. The omni-channel shopping structure will let the eCommerce merchants have an edge over their competitors. Let your customers order clothes online and pick it up in the store, or vice versa when something isn’t available in the store can be bought online and shipped to the customers’ home. Offer the right product to the right customer: How will you feel if you visit your most frequented store and get treated like a new customer? Baffled, right? So don’t make your customers feel the same way. Instead, have a look at the customer’s past shopping history and direct them toward the page/section that interests them the most. This will be specifically helpful for those shoppers who want to browse less and find more. Leverage data: If you wish to stop your customers from going to the competitors, you can do so by using location-based technology that will tell you where your shopper is. Once you get this information, you can send attractive offers to them before they finalize the purchase at your competitor’s store. Use mobile: According to the Custora High-Growth eCommerce Index, 40% of online shopping during Black Friday 2013 was done through mobile devices. So make your designs optimal that can be rendered on any device, including tablet and smartphones. Create apps that encourage sharing of product information. Customization: Personalization is the key to happy customers, especially for high-end customers or big-ticket sales. 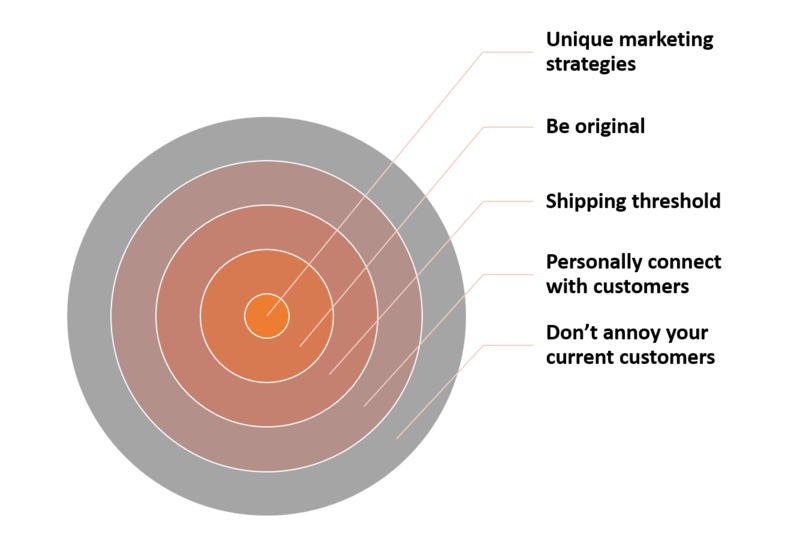 So guide your customers to the exact location of their interest when they visit your online/offline store. Also, you can let your consumers modify the product you are offering according to their wish – provided you have the capabilities to execute the modifications asked for. For example, if you are selling Tees, let the customer order the color of their choice or let them add designs of their choice. Customization is the key to boost eCommerce sales. 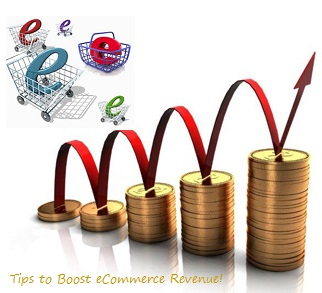 Thus, Let's try e-Smart eCommerce Suite from Ydeveloper, a best model to increase revenue from your eCommerce website. Copyright © Custom Ecommerce Blog by Ydeveloper . All rights reserved.